Immediately after completing his undergraduate studies, Habib launched his career as an entrepreneur, starting a new concept restaurant from the ground up. After two years of running his restaurant, he started a non-profit organization. While Habib was running these businesses, he attended law school on a full-time basis. Upon successfully running his restaurant for nearly a decade, Habib capitalized on an opportunity to sell to an interested regular customer. From these unique experiences, he has developed an immense business acumen. After law school, and before joining Tenaglia & Hunt, P.A., Habib began his legal career as an Assistant State’s Attorney in Baltimore City, where he prosecuted over one thousand cases in one of the most dangerous cities in the U.S. 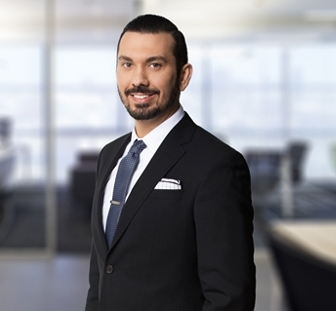 While there, Habib was assigned several high profile matters, and gained invaluable litigation skills and jury trial experience. 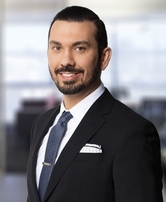 At Tenaglia & Hunt, P.A., Habib is a Litigation Associate, where he works in the creditor’s rights practice group. Habib represents some of the largest national banks of the financial services industry in the recovery of their receivables. Habib is a skilled negotiator with extensive experience before the various levels of Maryland state courts and the District of Columbia.